Review of book #1 Regina Shen: Resilience Here! 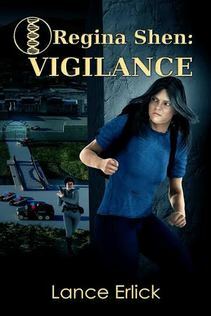 Regina Shen: Vigilance is book two in a series by Lance Erlick. 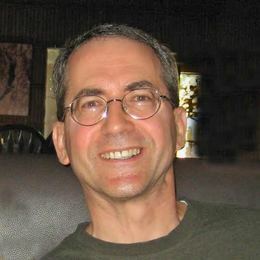 If you haven't read book one - Regina Shen: Resilience (review HERE) - I highly suggest you do before you start this one. It's a great story regardless, but you'll have to do a lot of catching up. Since we left her at the end of book one, marginal Regina Shen has managed to avoid capture for over two years now, an amazing feat. Her own resourcefulness and that of her substitute mother and teacher Mo-Mere kept the searchers at bay, but there were many, many close calls. With a new mega-storm moving it, Mo-Mere decided it was time for Regina to sneak into the walled city, assume a new student identity and enter the university. This was a journey full of danger and if caught, Regina would be turned over to the local GOD (Grand Old Dame) who believed her blood held the solution to a fertility crisis. Then the rest of her life would play out as a lab rat. Success meant assuming a life that Mo-Mere had tried to prepare her for, but her temperament was unsuited for. How could she pull off the part of a subservient, frightened Work Stiff allowed into university on scholarship? It required never asking questions, never standing up for yourself, never showing your intelligience and accepting the status quo. As a "swamp rat" who had lived by her wits her entire life, this proved increasingly impossible. There was no way to blend in and the clock was ticking. She couldn't pretend for long. Regina was also there to try and rescue her sister who had been taken to a lab two year before, but the university was a guarded prison that let no one in and one out. The government had destroyed all maps and taken down all street signs. There was no listing of where the fertility labs were. How would she leave the school? Who could she trust to help? Where was the lab that held her sister? And last but not least, if she did succeed in freeing her, where could they go? There was no where to hide.